Music has a very special place in our hearts in Bunscoil. All teachers take an active role in promoting musical education. Teachers Kayren Hayes , Eilís Watson and Trish Lambe have shared their musical talents for many years and we now have the privilege of having the talented choirmaster Pádraig Wallace on our staff. Musicians Alison Price and Peter Lane have joined us in recent months. Every pupil gets an opportunity to be on stage on several occasions. All infants perform in their Nativity Plays. Our extra-curricular Choir and Drama group host Variety Shows every second year. Last year Bunscoil pupils performed in the City Hall in Cork at the Cór Fhéile. This year our choir will perform with Mr. Wallace in UCC. 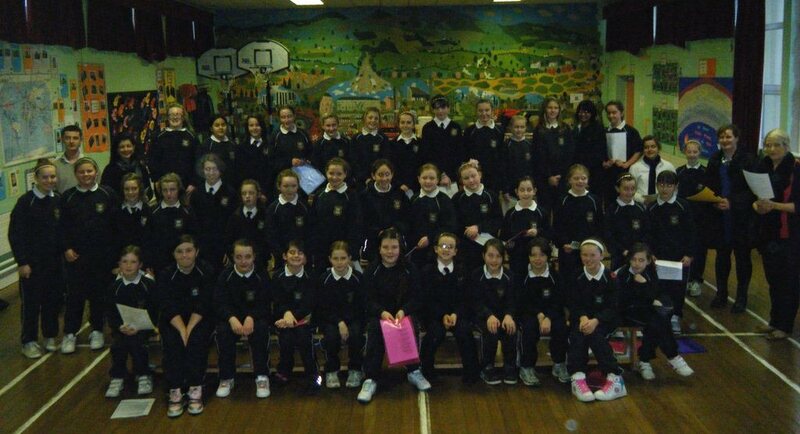 This year the Choir and Drama group put on a Variety Show in March , call 'Unlucky 2013'. Click here to see some photos! 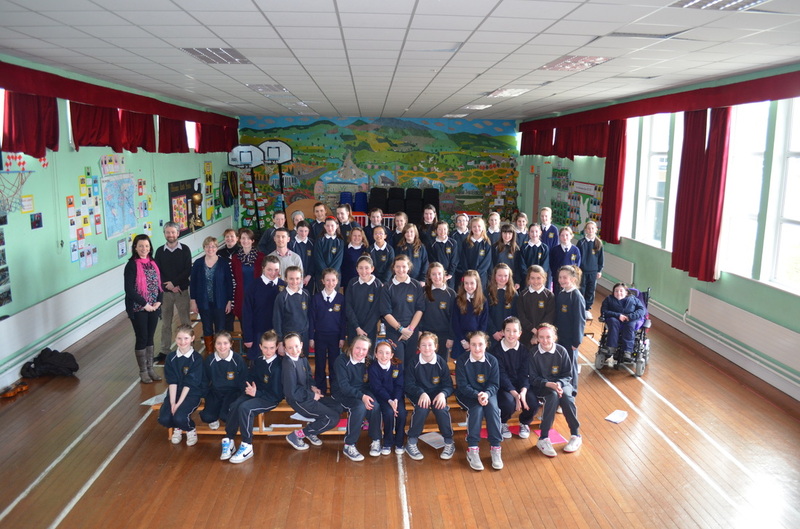 Every Thursday after school, 5th and 6th class pupils gather in the hall to practise their singing and participate in drama lessons. 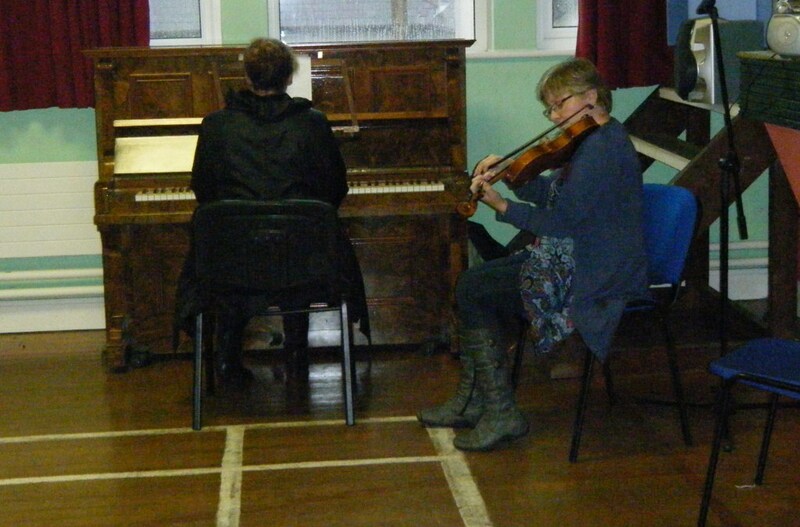 The group is led by our principal Kayren Hayes who plays the piano accompanied by Eilís Watson on the fiddle. Other teachers also help with drama. Watch this space for our next production! The Choir and Drama Group. Breaking news: The Choir and Drama group put on a production of the Three Little Pigs on Wednesday 2nd May and Thursday 3rd May. After all the rehearsing it was a great success. Look at the photo gallery for details!